Madhouse is producing several new marvel animated series including an X-men, Wolverine, and Ironman series. 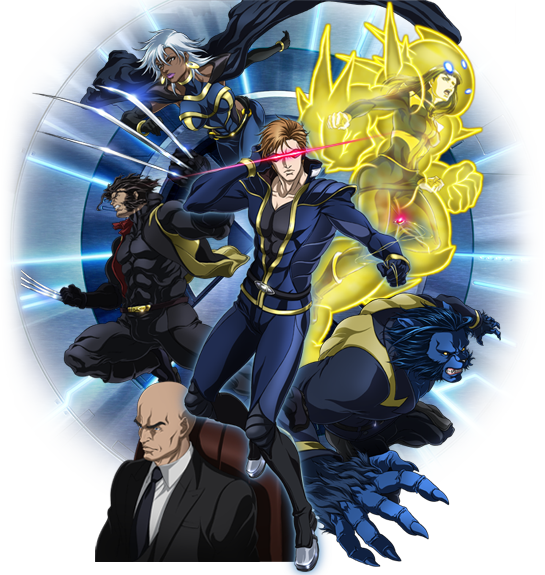 They created the animation for a few of the new liongate DTVs and I think an anime series for X-men would be a great idea, considering I'm a casual anime fan. Warren Ellis is scripting and developing the story. I certainly hope Storm is in! The Weather God wrote: Madhouse is producing several new marvel animated series including an X-men, Wolverine, and Ironman series. They created the animation for a few of the new liongate DTVs and I think an anime series for X-men would be a great idea, considering I'm a casual anime fan. Warren Ellis is scripting and developing the story. 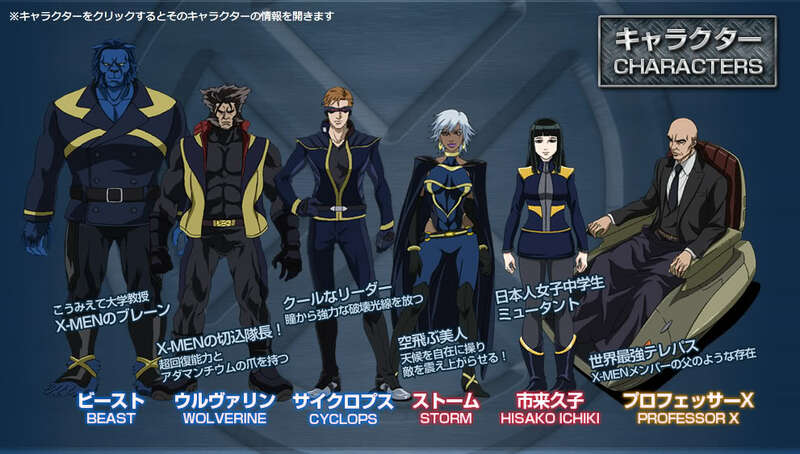 I believe that the x-men characters we've seen on the animated series will be on the anime series. They canceled the Wolverine anime series. I hope they don't do the same here. God Of The Storm wrote: They canceled the Wolverine anime series. I hope they don't do the same here. I haven't heard anything about them canceling the Wolverine Anime series, where did you get that information? I looked around the net for news but didn't come across anything that suggest this. I know the Ironman series was about to start over in Japan but I haven't heard anything about the other Anime series. My mistake. It wasn't a series it was a graphic novel. Sounds like the series will follow Astonishing X-men. So why did they go for making an x-men anime rather then make a continue with the x-men animated series? RLAAMJR. wrote: So why did they go for making an x-men anime rather then make a continue with the x-men animated series? As far as I know, W&TX was cancelled due to improper funding. So they ceased to have the funds to continue the series even though two more seasons were already ordered from marvel. The X-men anime was a separate project that marvel was working on long before the series was cancelled. So I'm assuming this funding problem did not occur because of the anime series. At least in terms of "officially" being announced. It could have been the problem, as they decided to spends the funds on something else and scrapped the two seasons altogether. But that is very unlikely, seeing how the series was very popular and would likely be more successful, since it was already out there. But at least in terms of officially announced news, the anime series had nothing to do with the series cancellation. I believe it was cancelled due to disney recently buying marvel and deciding to pull the funds for the W&TX series, because the show was being aired on a rival network, and was under contract for several years. This is what I got after someone from the series announced why it was cancelled. Umbra informed me over at CBR that Storm will be in the new X-men Anime!! Iron Man is first, then Wolverine, then X-Men "When you see Anime Storm, she's super cool"
So it looks like Storm is in the new series! Can't wait! I hope this doesn't completely revolve around Wolverine. But given his history AND the fact that this is Wolverine....I'm sure it will. God Of The Storm wrote: Can't wait! I hope this doesn't completely revolve around Wolverine. But given his history AND the fact that this is Wolverine....I'm sure it will. Wolverine has his own anime that will come out before the X-men one. So it is highly doubtful that he will appear in the X-men Anime at all. There are four Animes that are in the works, Ironman, Wolverine, X-men, and Blade. LOL. WG this is WOLVERINE here. The same man who can appear in 6 comics without giving it a second thought(and they give Storm sh!t for being in Wakanda sometimes ) He WILL appear trust me. Though from the amine I've seen they do have a certain "flair" about making things look cooler than American animation. Blade and X-men are the only one I will REALLY watch out for. God Of The Storm wrote: LOL. WG this is WOLVERINE here. The same man who can appear in 6 comics without giving it a second thought(and they give Storm sh!t for being in Wakanda sometimes ) He WILL appear trust me. Which was why they made an entirely separate series dedicated to him. He's his own star and I can agree with that, but so is X-men. I don't think they will waste their time created an entire series dedicated to Wolverine just for him to steal the spotlight for another series that is based on something else entirely. This isn't quite Wolverine and The X-men where they have to split screen time between the X-men and Wolverine, he has his own series and they have theirs this time around. Only thing I see as a possibility is that they are trying to make all four series into a single universe, where stars of one series may appear on another. If Wolverine does appear on the X-men it will likely be a guest star appearance and not an overshadowing of the entire cast throughout the series. these scans of her costume etc from the anime look awesome!! im soo excited!!! though im extremely happy that storm is in the anime, im somewhat sad to not see jean, gambit, rogue, emma in these photos.... some of my other favorite characters.... And i think Wolverine has been taking some growth pills cause he is getting tall as hell.. I prefer Storm with the long white hair. i prefer Storm using her classic cape tied to her wrists. i agree with you RLAAMJR, i DEF wish she had her long hair at least, and a better cape... BUT we have to be glad that she is in the series.... ANY STORM is better than NO STORM... last night i rewatched the last few episodes of "wolverine and the x-men" and it pisses me off what they did to her hair, and how short each scene with her is in... its like every 6th episode she is in.. and only 8 seconds of the scene she is talking or using her powers.... but AT LEAST she is in it... lets hope this show, with its few amount of characters, and her being one of the main ones.. she gets alot of screen time.. I have to disagree with both of you with the costume, although I do agree that longer hair would have looked better. I find her having short hair much more refreshing since she's had long hair in all her animated incarnations. Plus it looks a lot like X3 Storm's hairstyle, which I very much loved. I love just about everything in the costume, especially the cape. She looks a lot more majestic and powerful when she wear's the big cape over her shoulders, and it makes up for the short hair, although connecting them to her wrist would have made this costume perfect IMHO. I hope he won't. BP is getting popular because of Storm and i don't like it. Just watched the raw version of the X-men Anime and WOW, this is definitely looking to be the series we've been waiting for! The Weather God wrote: Just watched the raw version of the X-men Anime and WOW, this is definitely looking to be the series we've been waiting for! watched the first episode on youtube. Storm doesn't have a deep voice. The best part was when Storm flashfroze the pirate ship. It's Japanese voice actors, the women never have deep voices. I'm sure she will in the dubbed English version though.